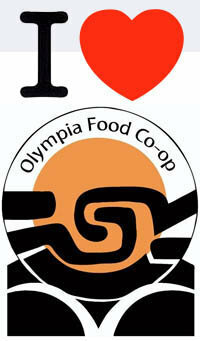 Blog to End the Occupation: Rally Tomorrow to Support Olympia Food Co-op! Responding to the Palestinian call for boycott, divestment and sanctions (BDS) against Israel, the Olympia Food Co-op voted in July 2010 to boycott Israeli products until Israel ends the occupation, respects Palestinian human rights, and complies with international law. Pro-Israel forces responded by filing a lawsuit against the Co-op in September of last year. The lawsuit alleges the Co-op's board acted beyond the scope of its authority and committed procedural violations in enacting the boycott. In November, working with the Center for Constitutional Rights (CCR), the Co-op fought back by filing a motion to dismiss the lawsuit on the grounds that is a form of legal and financial intimidation designed explicitly to silence free speech and penalize political participation. In legal terms, this kind of lawsuit is referred to as a Strategic Lawsuit Against Public Participation (SLAPP) and Washington state has an anti-SLAPP statute to deter such lawsuits. A hearing on the Co-op's motion to dismiss the SLAPP suit will take place this Thursday, February 23 at 9:00am at Thurston County Superior Court in Washington State. US Campaign member group the Rachel Corrie Foundation, along with Olympia Food Co-op members, Olympia BDS and others are rallying people to the hearing and will be gathering outside the courthouse before and after to demonstrate support. If you are in the area, please join them in defending for your constitutionally guaranteed right to political participation and fight against those who wish to silence and intimidate the voices of justice. 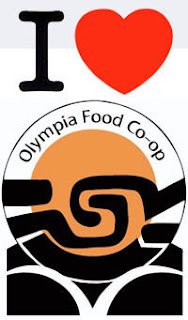 For those of you unable to join the rally tomorrow, you can sign the statement of solidarity to show your support for the Olympia Food Co-op. CCR will be doing live updates and media coverage via its Twitter feed, @theCCR, and will be using the hashtag #RighttoBoycott. Follow them on Twitter and help spread the word! For more information about the lawsuit, please visit the CCR case page. The CCR has also prepared a very informative fact sheet about the lawsuit and the right to boycott that can be downloaded here.